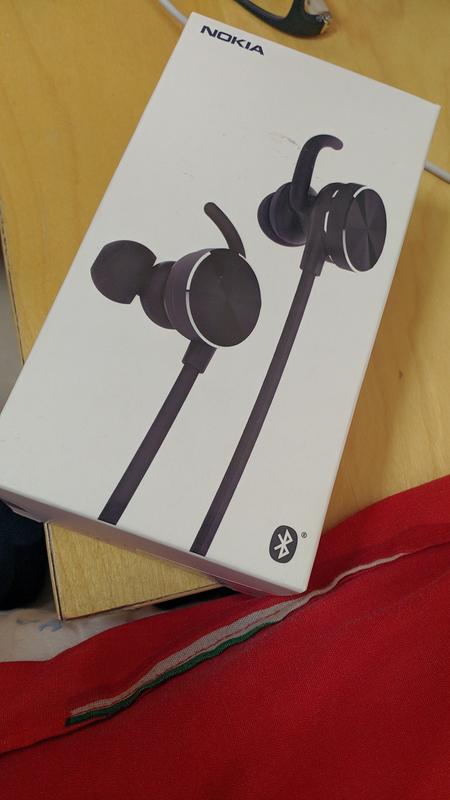 I got the same earphones as a gift at the Nokia Fan Event held in the month of November at Bengaluru. I really wanted to buy a BT Earphone of a good brand and getting this as a gift from Nokia was such a delight to me. I have been using this for over 2 months now and I like the audio output quality. The earphones are comfortable to wear, fits nicely in the ear, thanks to its earpiece design. The bass is okaish, the sound quality is pretty good. The battery backup is good enough. I always get 6-7 hours minimum on a full charge. Charging speed is nice too. The earphones can be charged to 100% within an hour. A lot of my friends have tried the earphone and no one has ever complained. It is in par with the quality offered by other brands of the same price range. What could have been better is the noise cancellation on calls. At times, the mic lets in too much ambient noise and the person on the other end has diffuculting hearing me. Also, the overall length of the earphone should have been more than it is. This would have added to the comfort. Also, the earpiece should have been smaller in size. A small earpiece would have looked better and premium. A friend of mine once joked that it looks like a stethoscope. A small earpiece with NOKIA written somewhere would have been great. As for the blinking blue light, I have observed this in the BT earphones of other brands as well. I have the same earphones. I had got them as a gift from Nokia at a Nokia fan event held in the month of November at Bengaluru. I was planning to buy BT earphones. So getting these for free from Nokia was a great delight to me. I have been using them for over 2 months now and it works great. The audio quality, the bass, clarity etc is excellent. Some of my friends have tried my earphones and they were impressed too. @fmukbil27.. About those blinking blue lights... I used to feel the same before. But then I noticed other brands have the same blinking light too. My friend and my uncle use a JBL 160BT which lights up intermittently just like my earphones. Now, I have got used to the blinks also. 1. Excellent sound quality combined with a good bass. 4. Good battery backup(7-8 hours). 1. Noise cancellation is not upto the mark. 2. Cable should have been longer. Rajath S Shetty" Really helpfull review. Really clear review and thank you for informing us!